is the property of a good or a commodity whose individual units are capable of mutual substitution. At this point there is two Proof of Concept service offerings. These are InstantX and Darksend or what some like to simply call Mix. 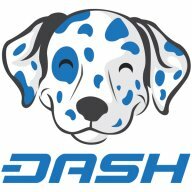 Mix solves the problem of fungibility with DASH. Once we understand that the DASH network is composed of two tier’s, one of Client’s, and one of Masternode’s the power of this second tier becomes immensely powerful. The first service developed to lie on top of this second tier was DarkSend. DarkSend started as an implementation of CoinJoin and has since morphed into a very robust mixing service. This mixing service which is built into the core DASH software allows it to solve the basic problem of fungibility. The nuts and bolts have been documented and explained in lots of different language but my favorite description of the mixing process is imagine if you were in a helicopter flying over top of a highway. Below you on the highway there is 6 lanes and driving 6 a broad is 6 vehicles. When looking at them from above there is no other distinguishing marks to tell these vehicles apart. Looking left to right you see two red cars, two blue cars, and two white cars. Now imagine that as you follow these cars below you they pass underneath an overpass. Since the only distinguishing attribute of the cars is their color two things could have happened when the cars passed under the overpass. They all could have remained in the same spots, or what if magically they were able to change spots? How would that effect your ability from above to distinguish which colored car was in which original space? Now do it over and over again with many over passes and many colored cars and you start to get a very broad overview of how DarkSend or Mix is working. To make things all the same the wallet takes the denominations of your coins and further splits them into identical denominations of various sizes. This creates the car’s for our previous example. Then the network Masternode’s take care of the job of providing the overpasses and the ability to switch the positions of the cars independently of them being observed from above. You and the coins in your wallet are the helicopter. Of course there is nothing saying you have to Mix your coins so this is just a feature that is added on top of the core wallet. It doesn’t need to be used but if it isn’t then any coins being sent around the network don’t get the benefit of this added solution to fungibility. Only after coins are mixed with other peer’s on the network do they then become fungible. After they have been mixed and sent all the normal properties of Bitcoin fungibility return to the coins and their ability to be tracked. Only thing that will return them back fresh would be to involve them in another mix.